« All I want for Christmas….. I apologise, dear readers, for not posting earlier but my trip to The Kensington Dolls house and Miniature Fair on Saturday, completely wiped me out! ( As they say). I sold off most of my miniature figures and now only have a few left. After my competition ( ends Sunday 12th ) I will put those figures I still have on this blog and reduce them further. They must go to good homes for Christmas! This will be, of course, minus the figure that my competition winner chooses. I now have only 12 correct answers. You have a one in twelve chance ( so far ) of winning a Gainsborough dummy board of your choice. QUICK! enter the competition. I am also very glad that the snow has gone. Wiped out too…. thank Heavens! It is still minus 10 in the garden overnight though. It’s nice to have snow at this time of year to make it Christmassy ( or should that strictly be Adventy?) but we have to spare a thought for all those people who still must get to work. Nurses, firemen ( yes they are still busy even in this weather ), carers in Care Homes and people of this ilk, upon whom other people really rely and without whom, many people will be totally stuck. So…off you go nasty weather….off you go.… and you too, my esteemed readers, of you go and enter my competition and then OFF one of my Gainsborough miniatures will go to a lucky winner! 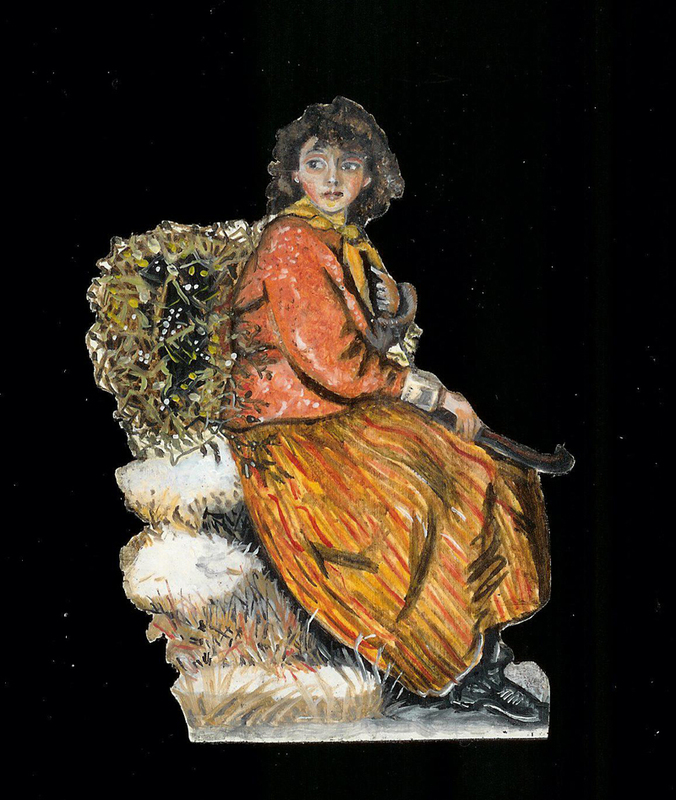 STILL for sale...The Mistletoe Girl....an outside figure. This entry was posted on 09/12/2010 at 8:59 am and is filed under Uncategorized. You can follow any responses to this entry through the RSS 2.0 feed. You can leave a response, or trackback from your own site. Glad to hear your recovered from KDF, Sue. I know a few of the exhibitors couldn’t get there and that quite a few visitors couldn’t either. But those that did said they had a brilliant time..